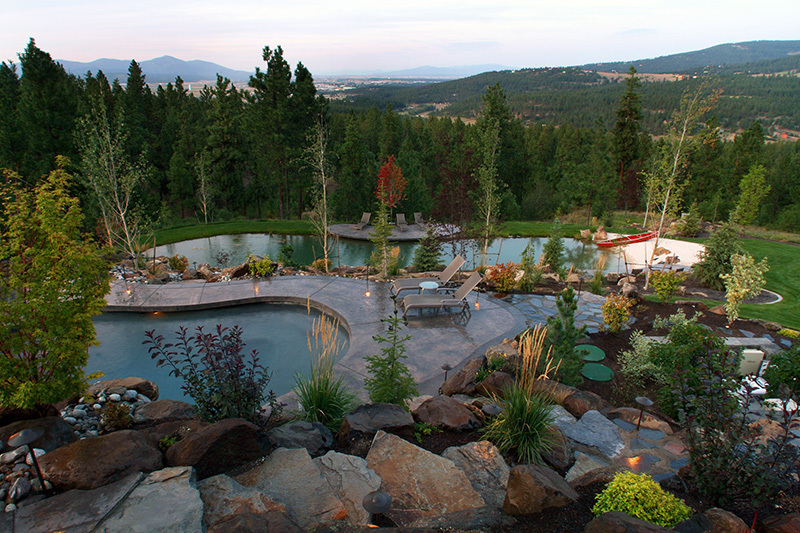 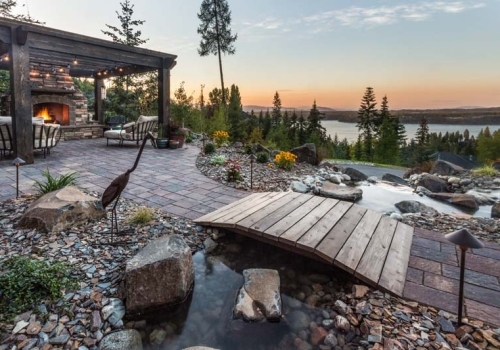 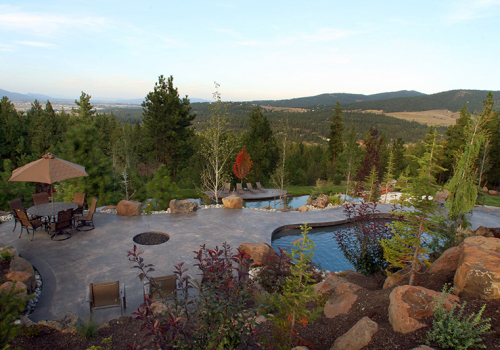 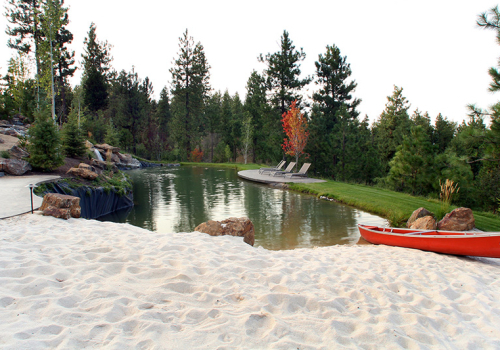 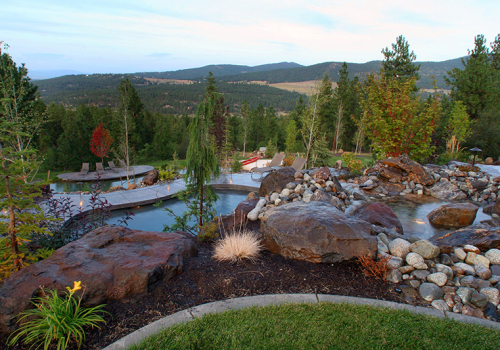 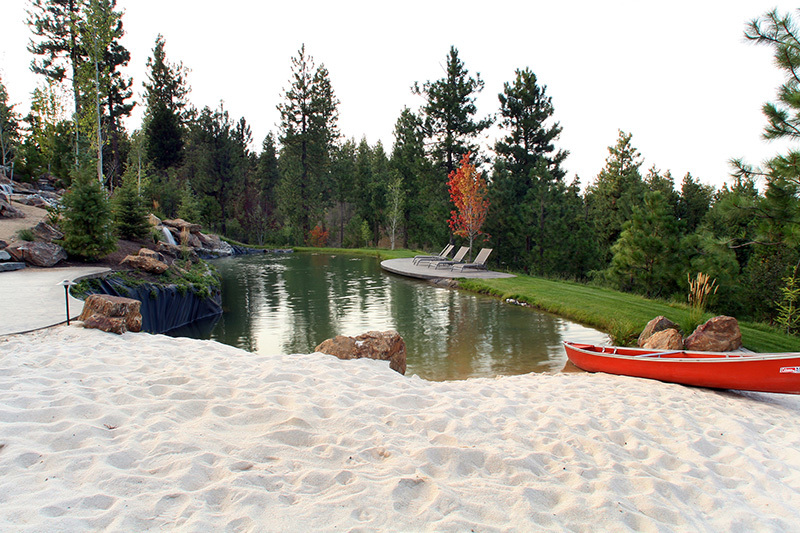 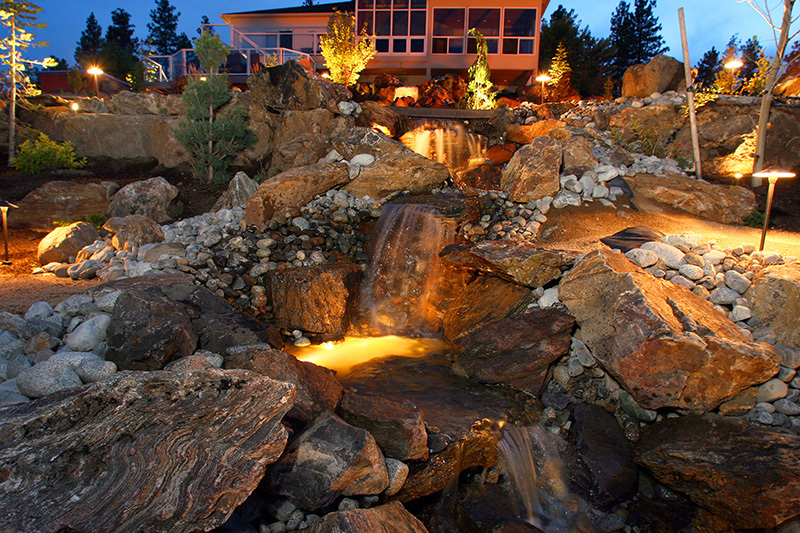 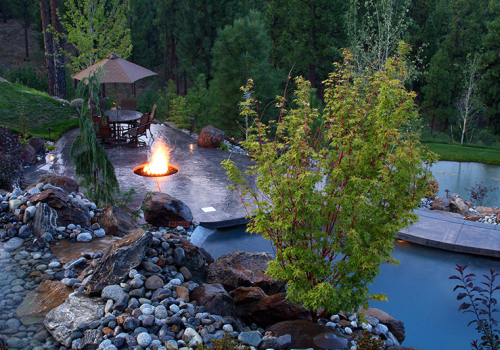 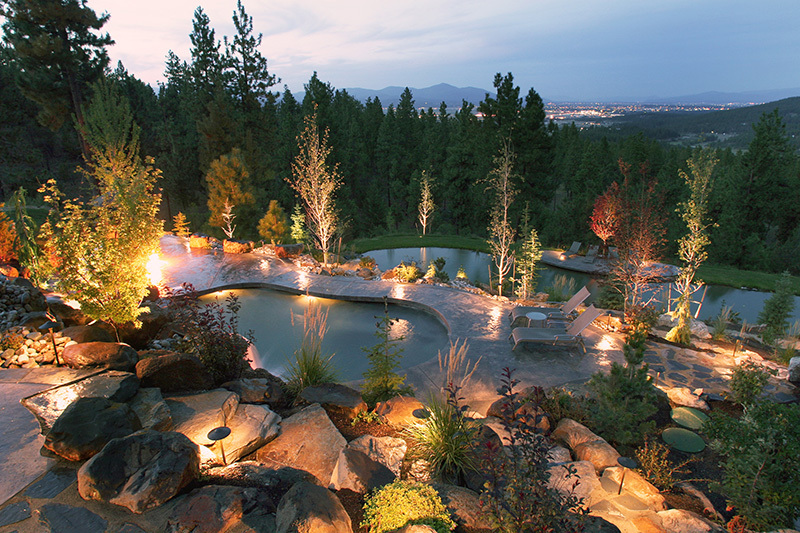 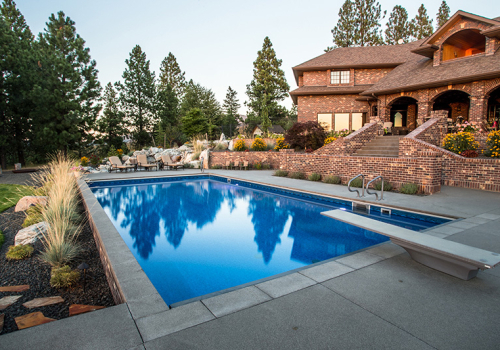 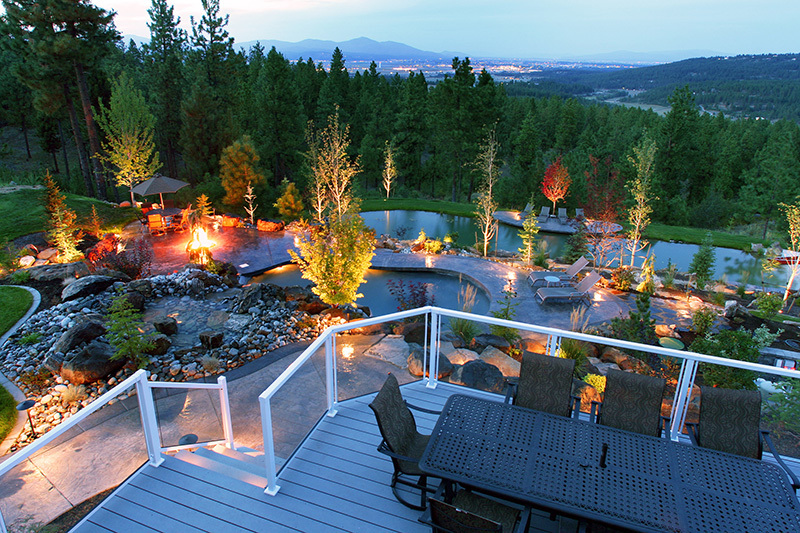 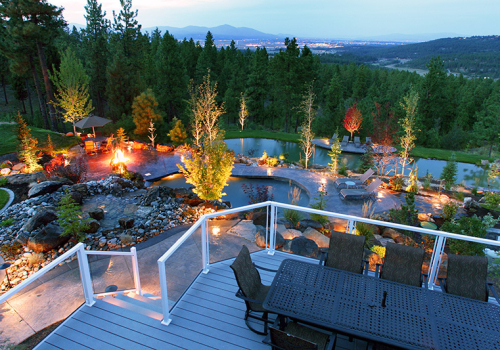 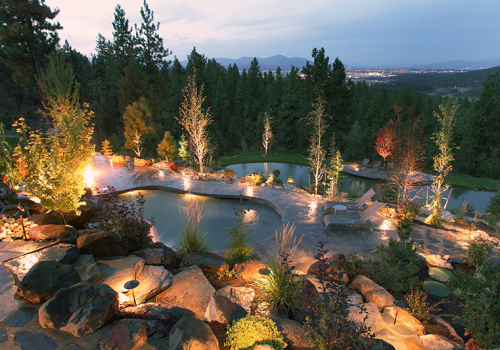 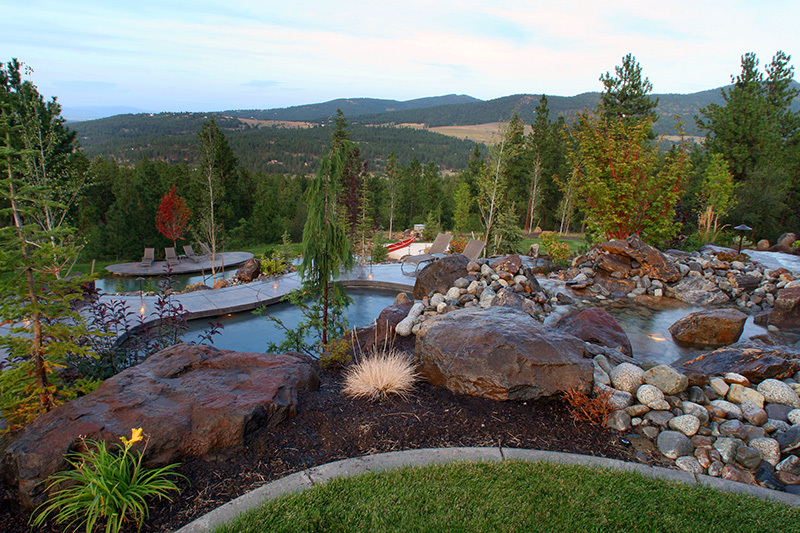 Perched atop a steep, treed slope looking east toward Coeur d’ Alene, massive ochre toned boulders arranged in naturalized outcroppings divide the difficult terrain of this Liberty Lake property into three terraces. 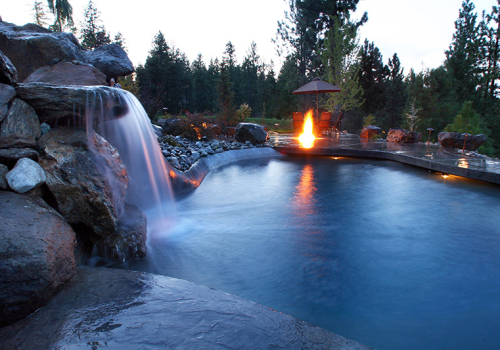 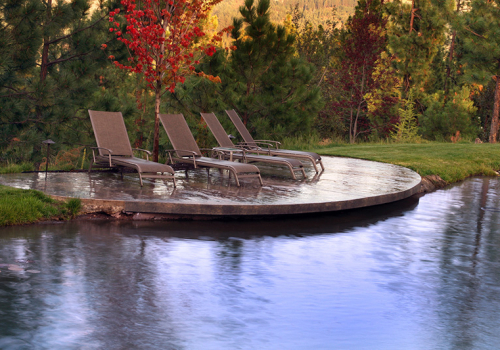 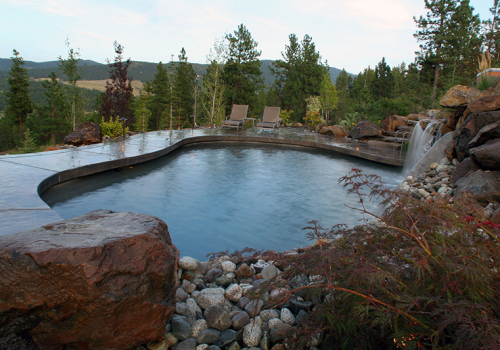 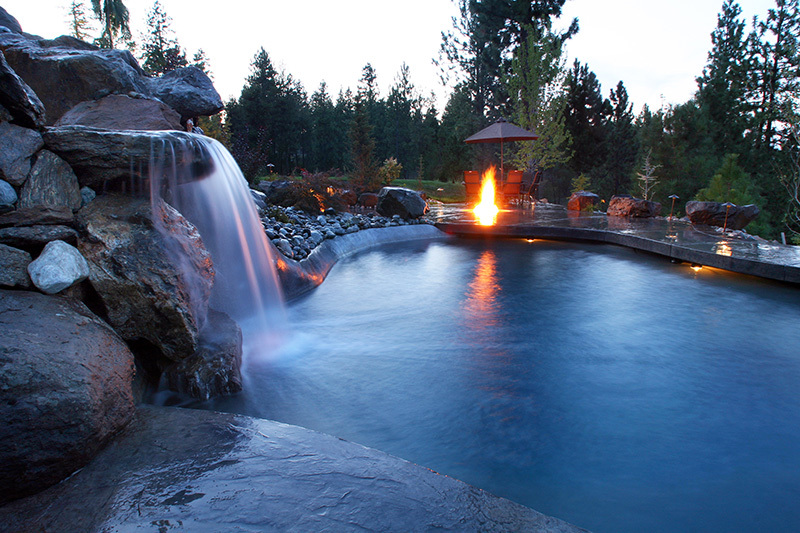 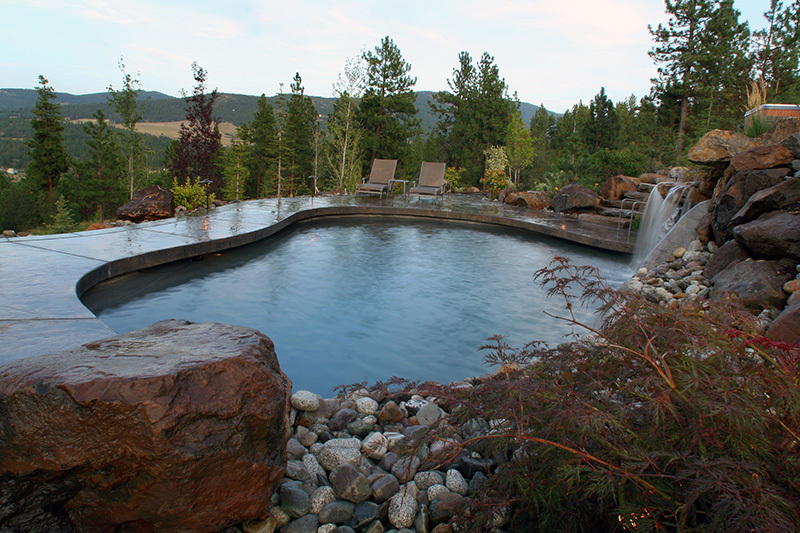 Joining these terraces, a waterfall cascades down between outcroppings into a heated concrete pool and then continues from the pool’s edge over rock ledges terminating in a natural swimming pond with a sandy beach. 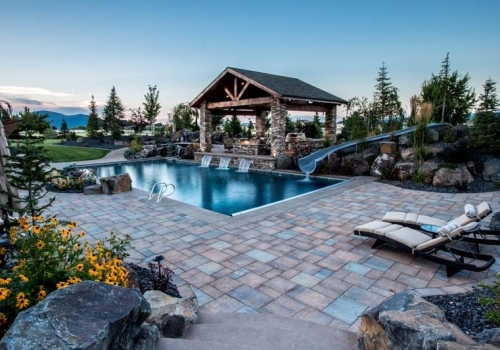 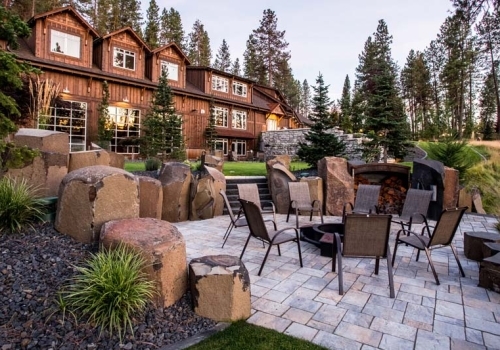 Stamped concrete patios the color of warm earth host opportunities to dine outdoors, lounge in the sun or sit beside the glow of a recessed fire pit. 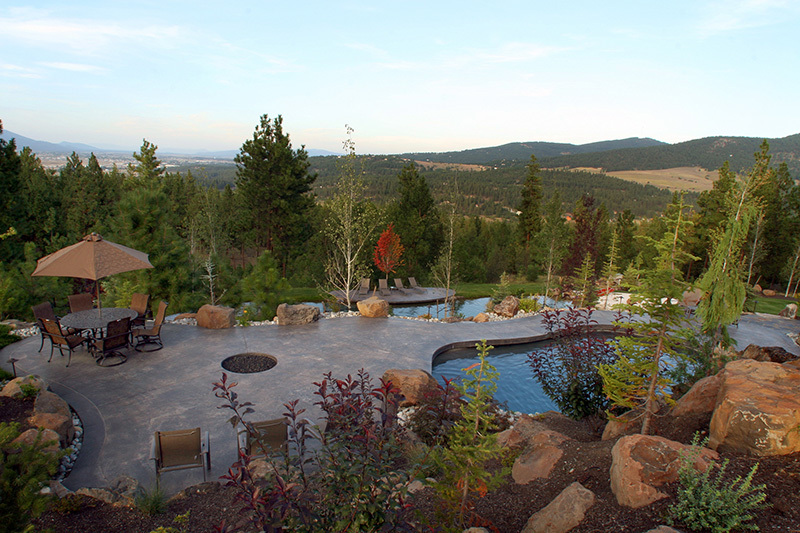 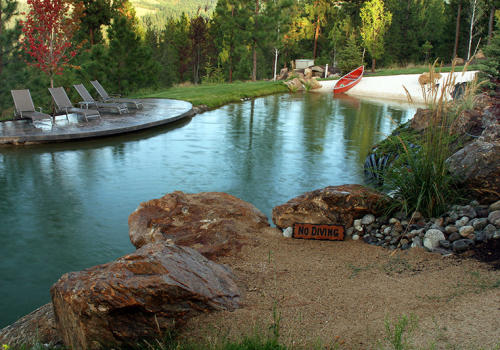 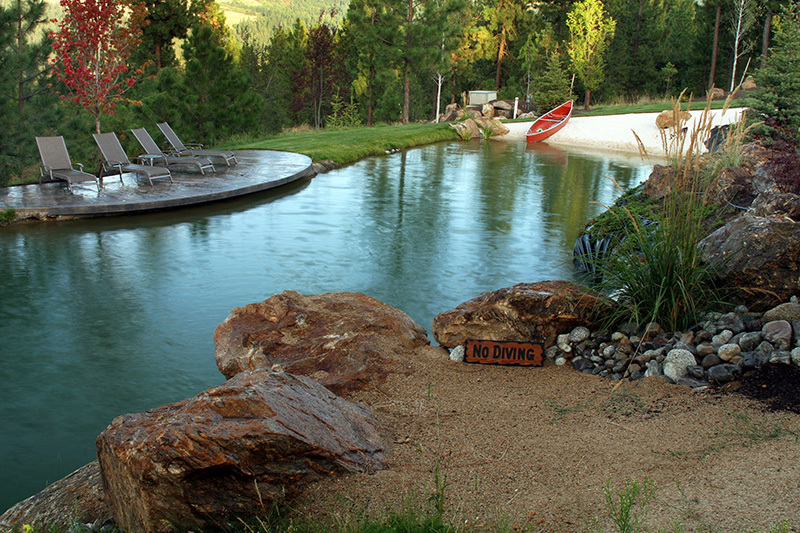 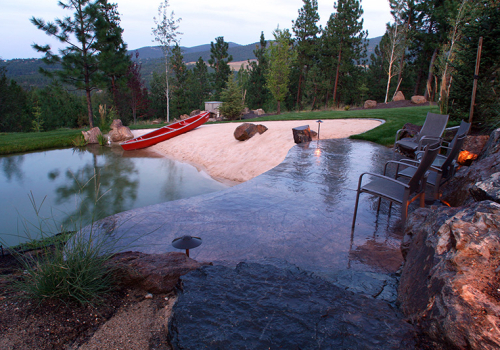 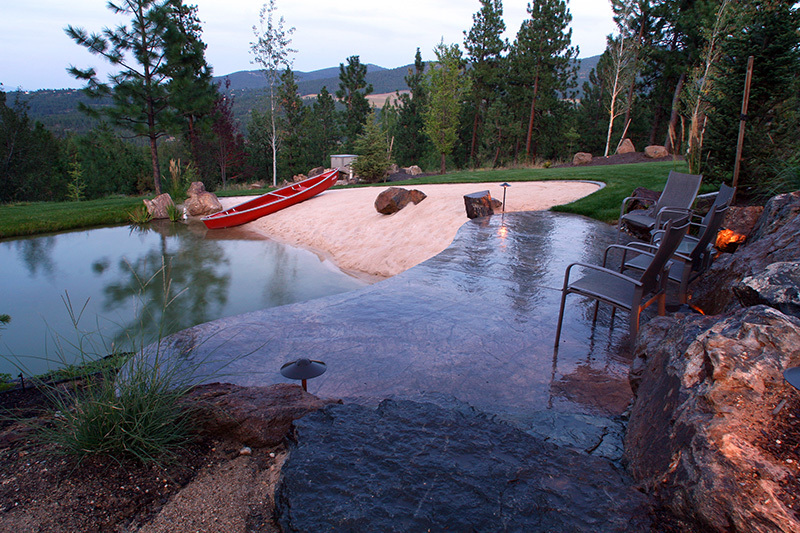 A concrete “bridge” connecting these patios, cantilevers out over the edge of the pool above the pond and defines the pool’s outer edge, while stone steps lead from the patio up to a full sized tennis court chiseled into the mountainside.